Today is HER day. It needs to be special. “Today is your day,"KC whispered in Catherine&apos;s ear.“Can you tell me what is my schedule today? "Catherine said in a tired way.“You&apos;ll be going out with Chris today,"KC said.“OMG! I forgot. I need to get ready! "Catherine shouted while through the bathroom. “The doorbell rang! "KC shouted. Catherine opened the door, it&apos;s Chris at the door. “So? "Chris asked.“Let&apos;s go," Catherine said sweetly. Then Catherine and Chris went away. “You finally brought your car,"Catherine said surprisingly. Chris opened the door of the, Catherine stepped in. Then Chris stepped in and drive.“How&apos;s yesterday?" Chris asked.“Yes, I went to Darren&apos;s secret place,"Catherine said happily.“What?! "Chris said shockingly.“Is there a problem with it? "Catherine asked weirdly.“You should have been resting not going to somewhere,"Chris said worriedly.“I will next time,"Catherine said. “What did you do in his secret place? "Chris asked.“We just made a video,"Catherine said proudly. 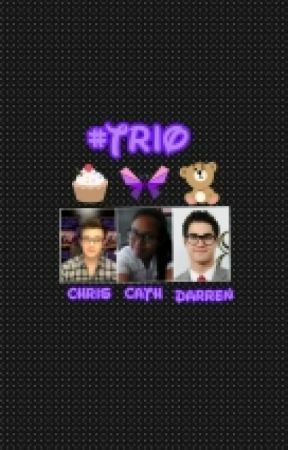 Catherine showed the video.“Teenage dream... with hugging and I love yous,"Chris said.“P.s. I don&apos;t love him but I like him, don&apos;t forget he has a girlfriend,"Catherine explained.“Where do you want to go? "Chris asked. “ To any malls.."Catherine said. Then he brought her to one of the malls in NYC. “I&apos;ll just go to the comfort room,"Catherine said while running towards the restroom. When Catherine reached the restroom,she called Darren. Darren: How can I help you? Catherine: I&apos;m currently with him. Catherine: Chris, of course. Have you forgotten? Darren: Yeah I&apos;m sorry. Where are you now? Catherine: At the mall... What am I going to do? Darren: Talk to him about The Land of Stories. Then she went out of the restroom.“What took you so long? "Chris asked curiously.“I just talked to Darren,"Catherine said uncomfortably.“Where do we go now?" Chris asked.“I don&apos;t know. Let&apos;s just walk and talk. "Catherine said happily.“What do you want to talk about? "Chris asked.“About Goldilocks, Jack, Queen Red Riding Hood and Froggy in The Land of Stories,"Catherine said sweetly while looking at Chris.“What about them? "Chris asked while wondering. “I love their love stories. And I&apos;m much relatable to Red Riding Hood. She fell in love with Jack but Jack loves Goldilocks. Red Riding Hood let them have a happy ending, then she met Froggy who was Prince Charlie. "Catherine explained.“Have you found your Prince Charlie? "Chris asked happily. Catherine stopped and think. “Yes, unfortunately he&apos;s Jack as well," Catherine said sadly.“Who is his Goldilocks? "Chris asked.“I don&apos;t know. I don&apos;t want to know because I&apos;m going to compare myself with her again,"Catherine said.“So? 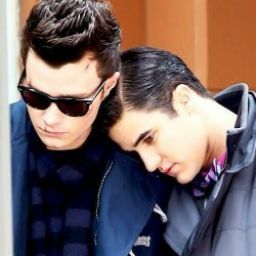 "Chris asked.“Finding true love for me is over. He&apos;s taken, I have to let him go. "Catherine said.“Again and again and again. When will you learn to fight for LOVE? "Chris said with concern. “I know how but it&apos;s just a waste of time,"Catherine said.“It was never a waste of time to fight for it,"Chris said.“I&apos;m tired of its cycle,"Catherine said. She is finally taking a lot of reality. “Did Red got tired? "Chris asked.“No she didn&apos;t,"Catherine replied.“Don&apos;t get tired, it will come. "Chris said trying to give her hope.“I&apos;ll try not to quit,"Catherine said.“Even though he&apos;s taken don&apos;t lose hope that he&apos;ll be single again,"Chris said.“Chris... single again,"Catherine whispered so that Chris won&apos;t heard it. “Where do you want to go now? "Chris asked.“I just want to go home. Thank you for everything,Chris. I wish that I can do these also to you but I don&apos;t have enough money,"Catherine said sincerely.“You don&apos;t have to do these. It&apos;s my birthday gift to you. And I have another gift for you but it&apos;s a surprise,"Chris said. “Chris, all I want for my birthday is the presence of my love ones especially you. But the first thing that you have to know about me is that I love surprises. "Catherine said happily while looking towards Chris&apos; eyes.“You don&apos;t know how much you make me happy,"Chris said sincerely while holding Catherine&apos;s hand. Catherine couldn&apos;t stop looking at Chris&apos; hand holding her hand. Catherine seemed that she wants to scream but she needs to keep it.“Let&apos;s go, I want to go home. I&apos;m really tired,"Catherine said exhaustively. Then Chris started to drive.While driving, Chris couldn&apos;t stop looking at Catherine. Catherine slowly looked at Chris. Then awkwardness started. “Who are you texting? "Chris asked curiously.“I&apos;m not texting. I&apos;m writing stories. Don&apos;t you dare to ask coz believe me you won&apos;t get any answers,"Catherine warned him. Then Catherine took off her jacket and covered her because she is really distracted of Chris&apos; cuteness. Afterwards, she fell asleep. After several minutes, she reached her home. “Wake up,"Chris said sweetly but he saw his picture in her cellphone. Then she constantly woke up. Then she finally went home. “You don&apos;t need to go with me. I can go there,"Catherine said. Then she went out and entered her home. Then she just screamed as soon as she got there. Chris heard that she screamed, Chris ran and opened the first door of the apartment. “Are you okay? "Chris shouted while running towards her. Then Chris hugged Catherine very hard like he was very worried about her. Then KC walked by.“Catherine, why haven&apos;t you told me that you already have a relationship with Chris? "KC laughed. Then they were already separated from each other. “Nothing happened,Chris. "Catherine said.“Why did you screamed? "Chris asked still with a screaming way.“Because something irritable crossed in my way,"Catherine lied.“Promise me you&apos;ll never shouted again like that,"Chris said.“I will,"Catherine said while hugging Chris.“Goodbye,"Chris said.“Bye," I said. Then he kissed Catherine in the cheek. She waved goodbye, so he is too. Is this the start of their love story?